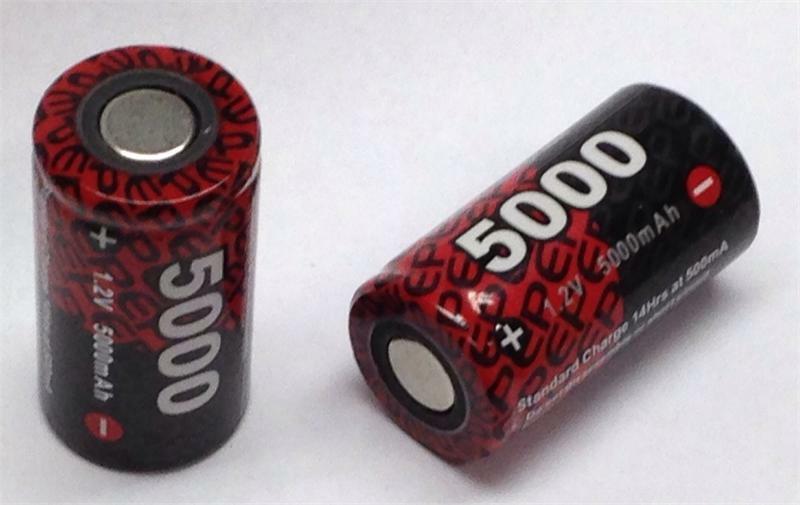 EP-5000SC: High-output Sub-C size NiMH rechargeable cells. Size: 1.75" tall x 0.89" diameter. Weight approx. 2.2 ounces. 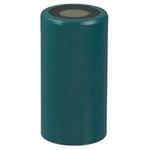 Choose plain (no tabs), or add solder tabs for $0.25 extra per cell. These are heavy-duty, high-capacity, high-output cells; ideal for high-amp RC hobby applications. They can be slow-charged or fast-charged. Discharge rating up to 30C.